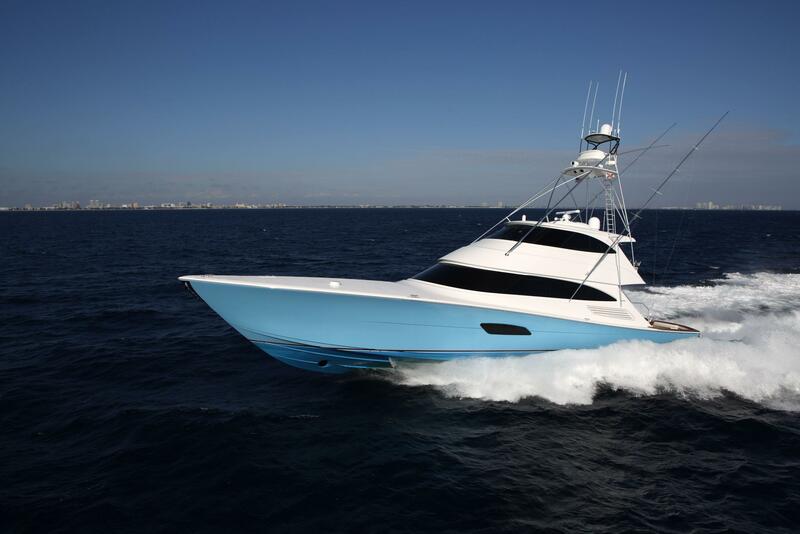 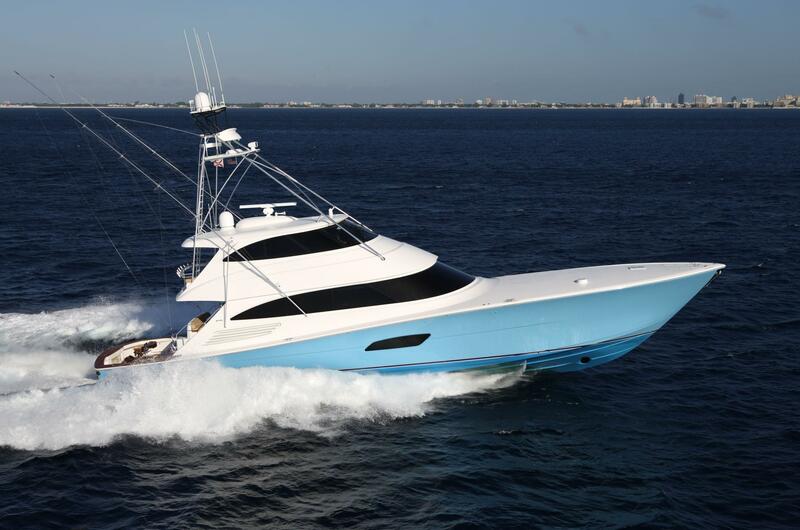 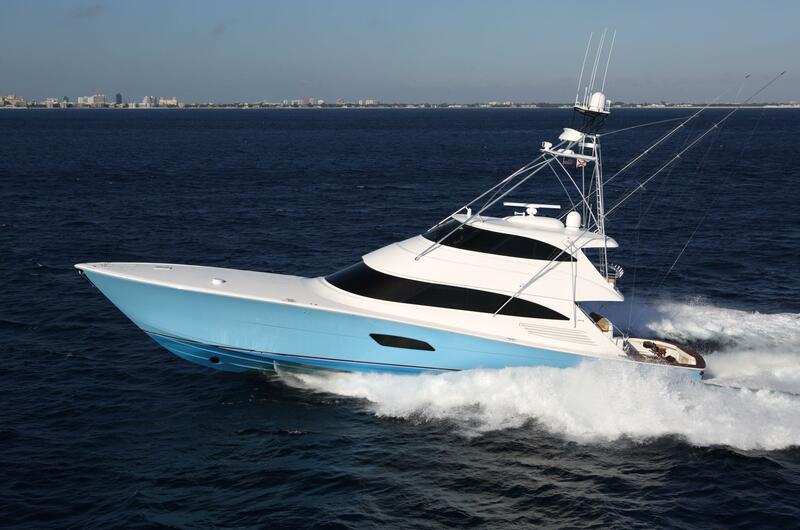 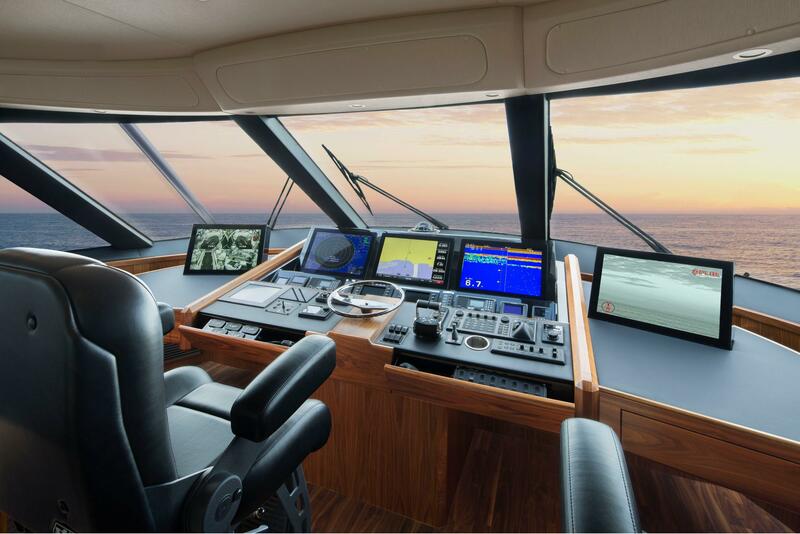 This 92 Viking Enclosed Bridge features a full-beam master cabin, four guest staterooms, and includes separate crew quarters with private entrance and head located Aft, for a total of 6 en-suite staterooms, accommodating up to 12 comfortably. 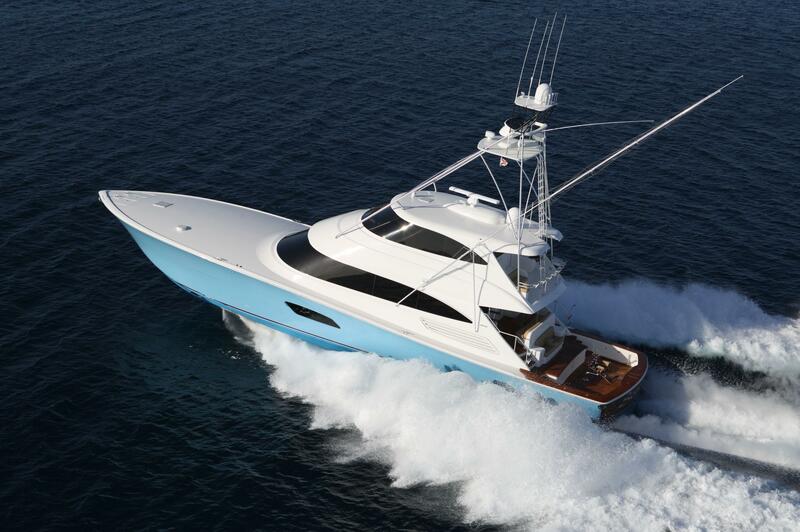 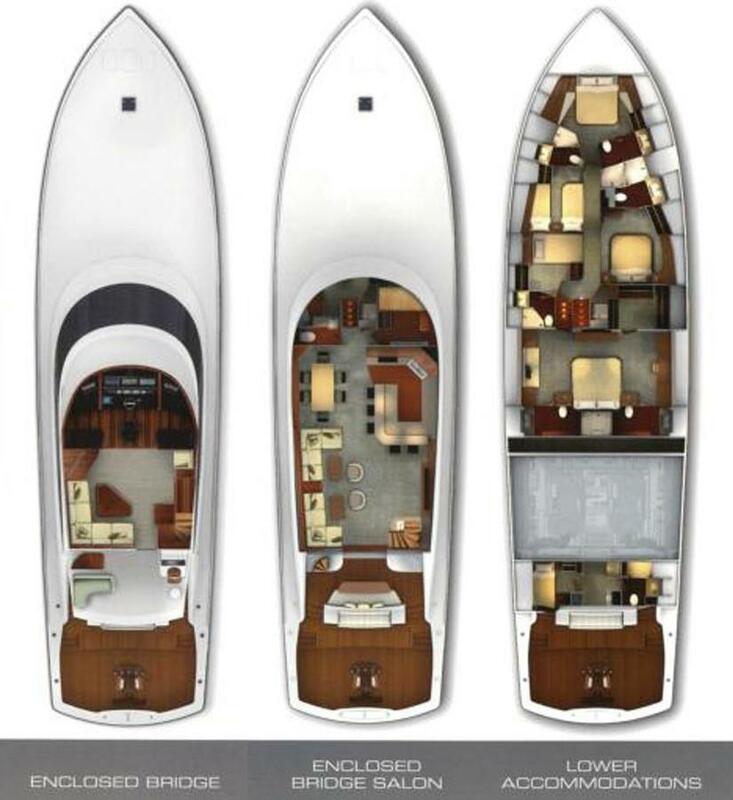 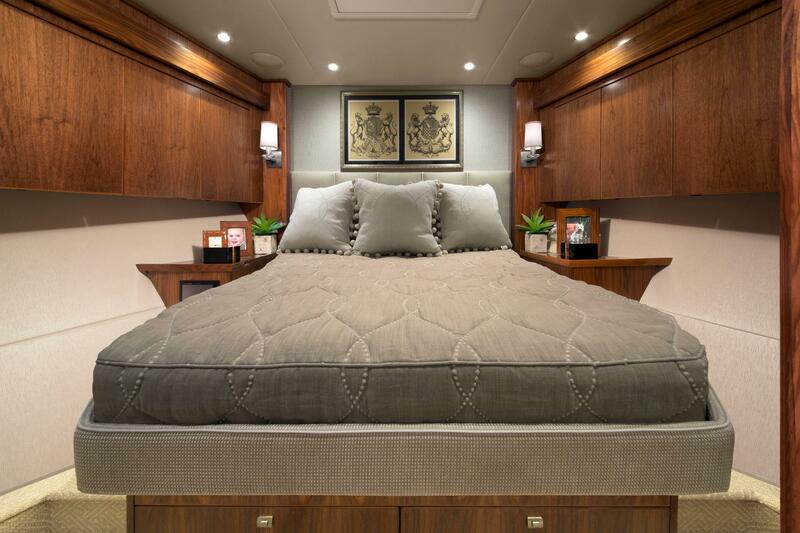 The additional companionway head gives the convenience of a 7th head in this impressive yacht. 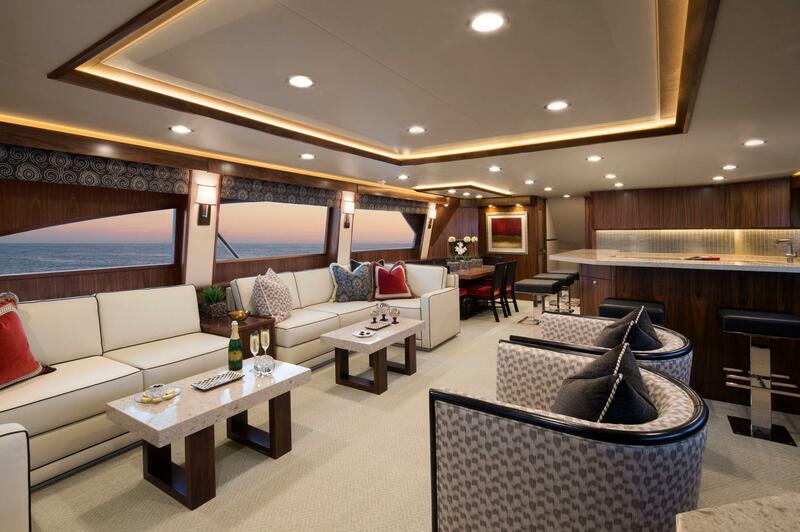 The expansive open-concept layout of the main deck features the stunning salon and lounge area with entertainment center & wet bar in one space and leading to the well-appointed galley with adjacent formal dining area. 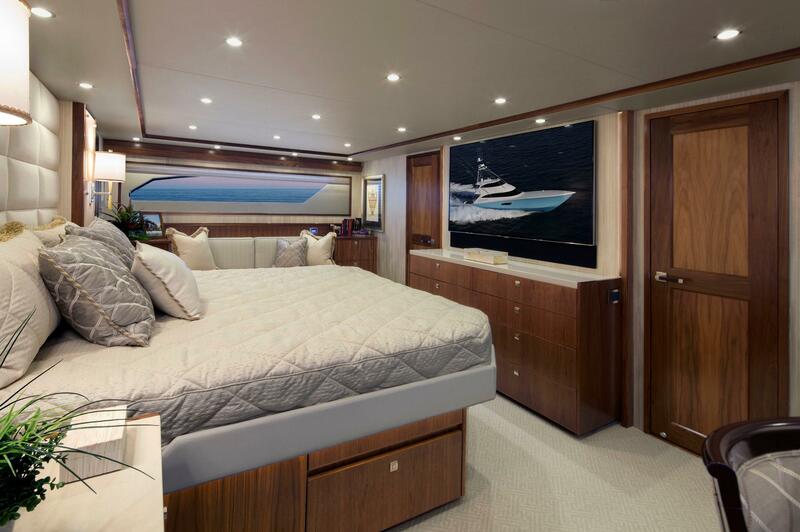 Access the salon and exceptionally accommodating living areas from the aft deck through electric sliding double doors. 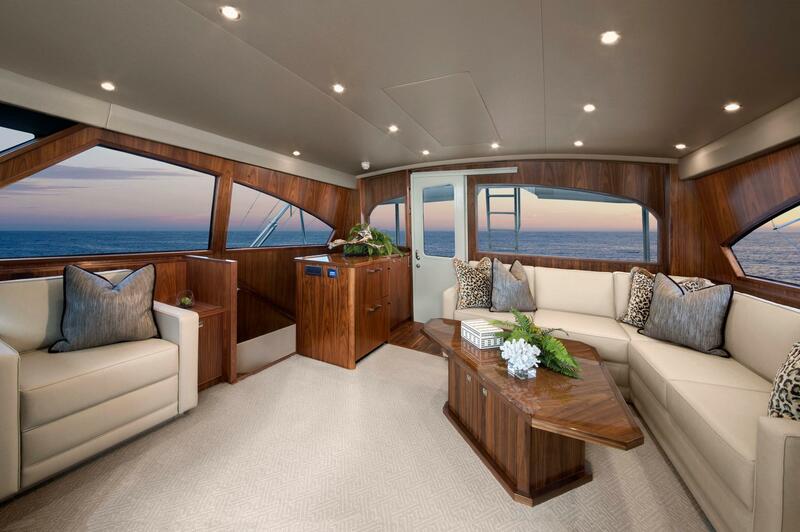 The salon, galley, and dining area “great-room” provides true motor yacht living space. 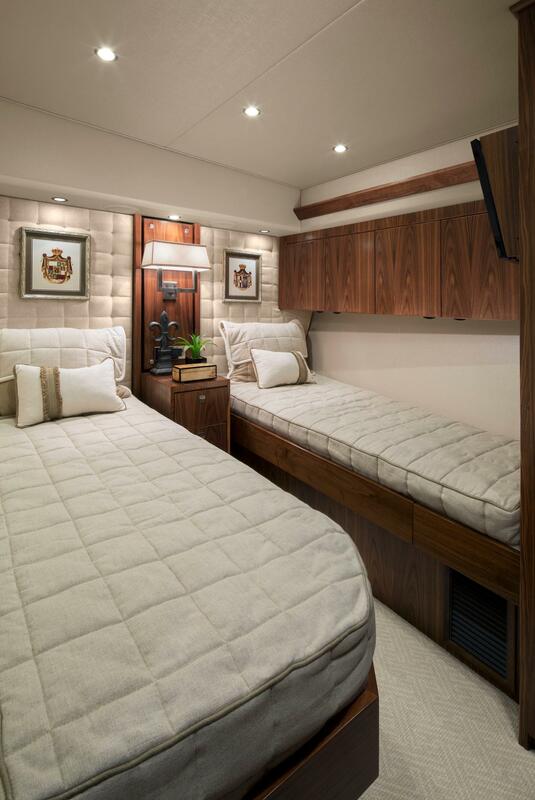 Two large built-in sofas form a U-shape with a small accent table between, and one featuring custom rod storage beneath. 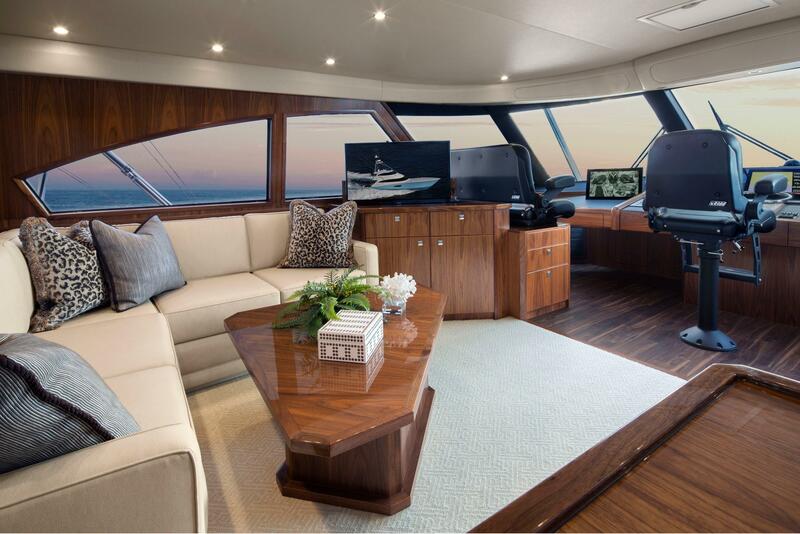 Starboard in the salon is access to the flybridge, entertainment center with wet bar, and additional seating area with two large club chairs. 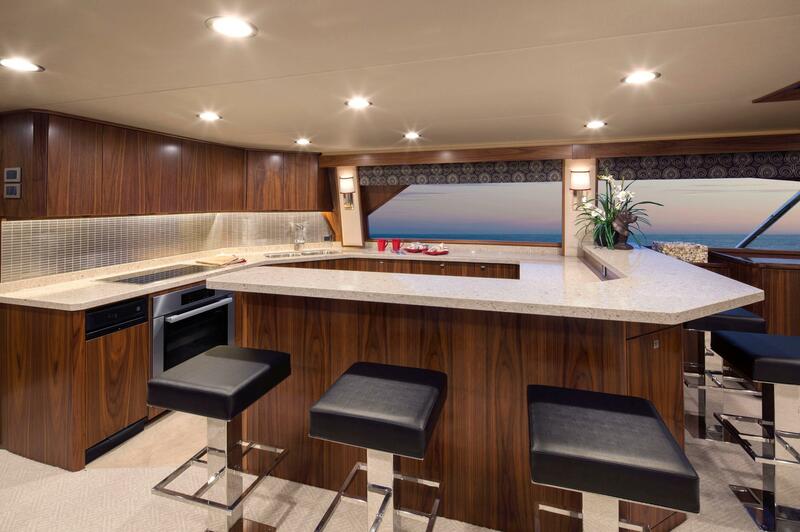 The high-end galley is open to dining and salon, with five bar stools and a substantial serving and dining counter. 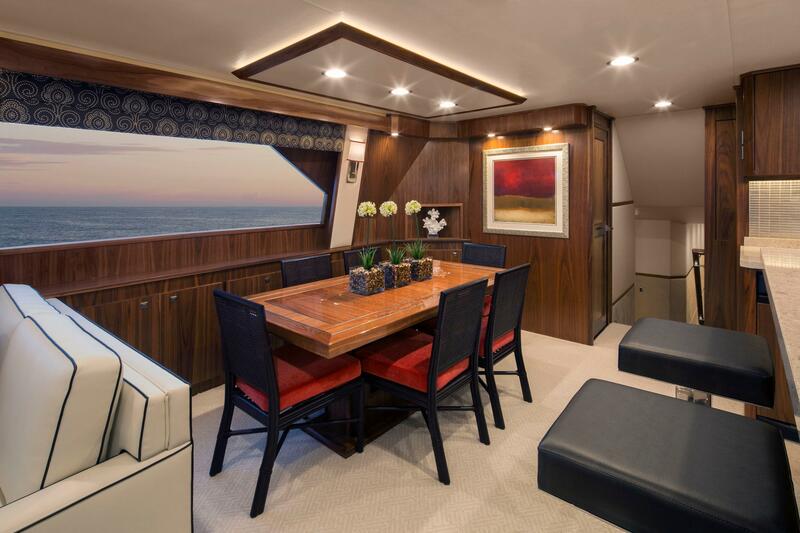 Opposite the galley, is a free-standing dining table with seating for six. 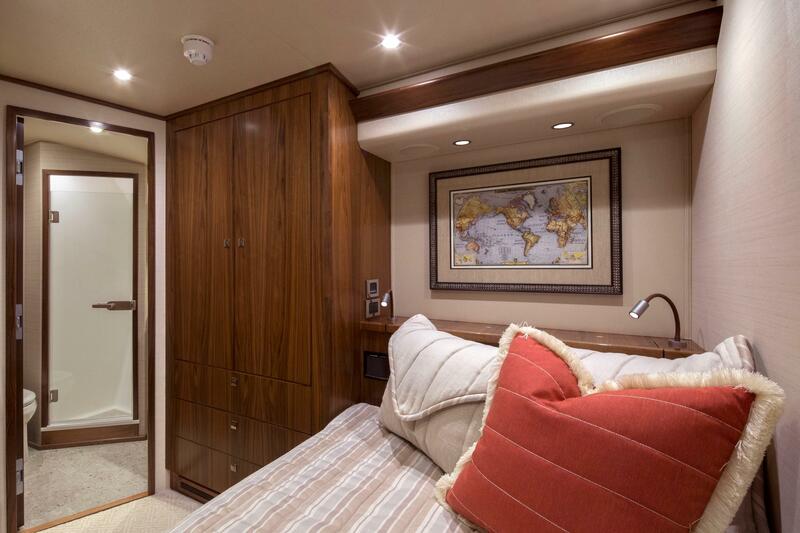 A walk-in pantry (equipped with an optional double berth) is forward to starboard and day head is forward to port. 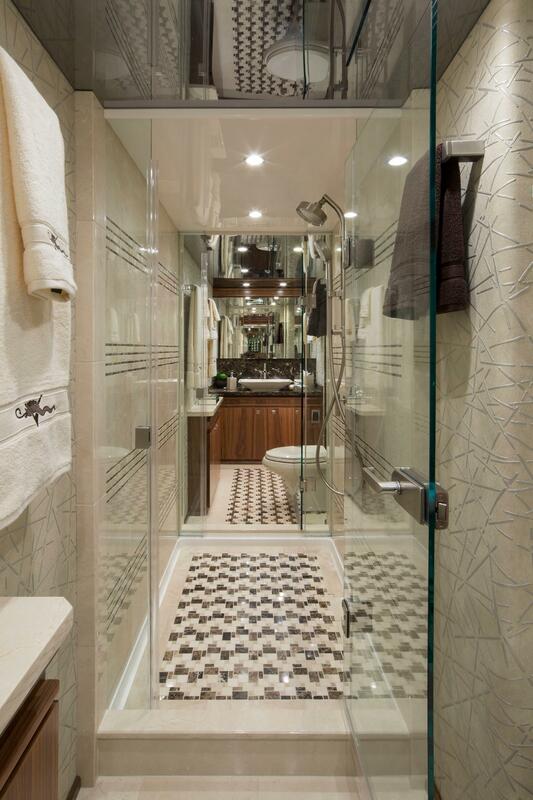 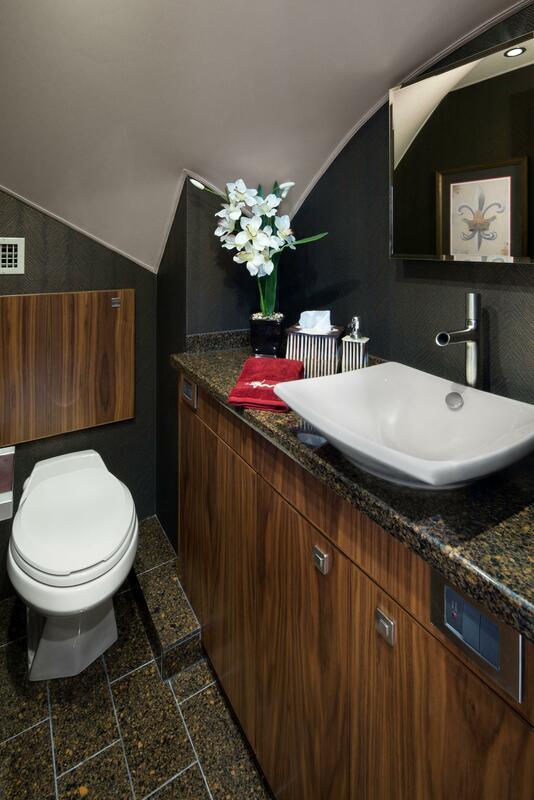 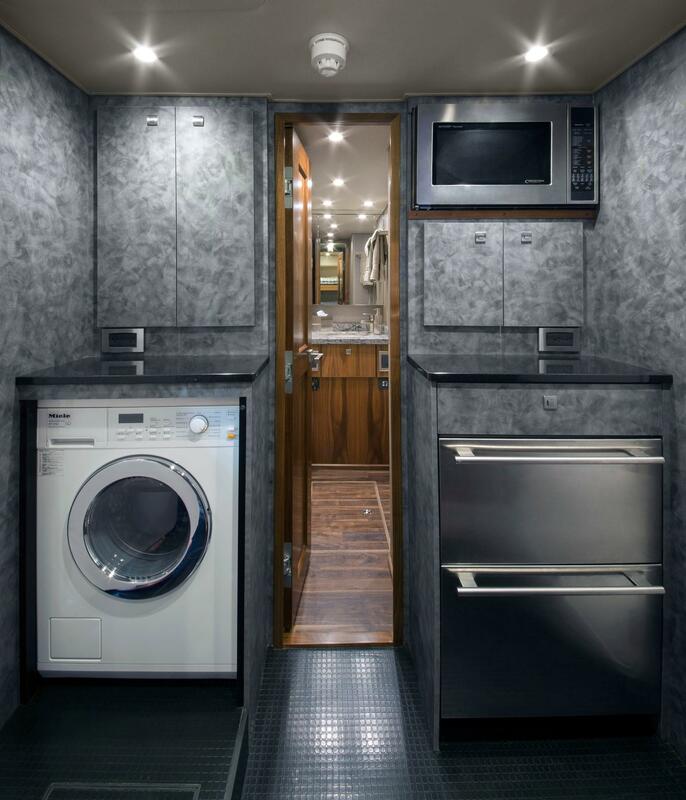 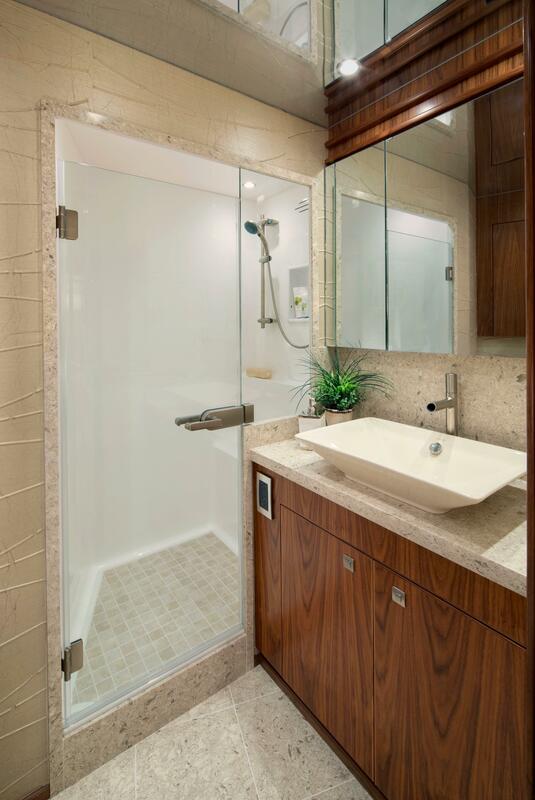 Interior décor features satin walnut finishes throughout and granite counter tops in the galley and all bathrooms. 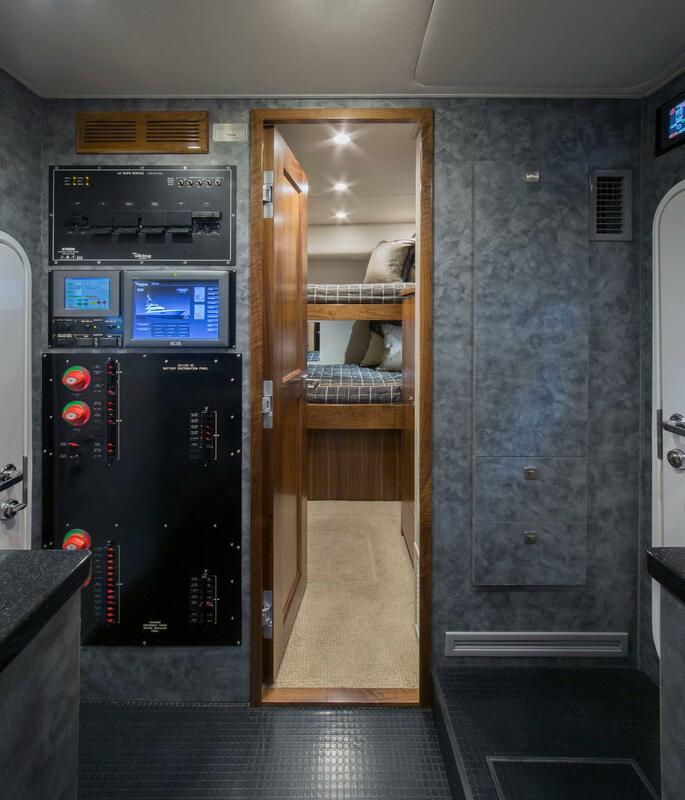 Walk-in pantry with tremendous storage room features a double bunk for additional sleeping quarters if needed. 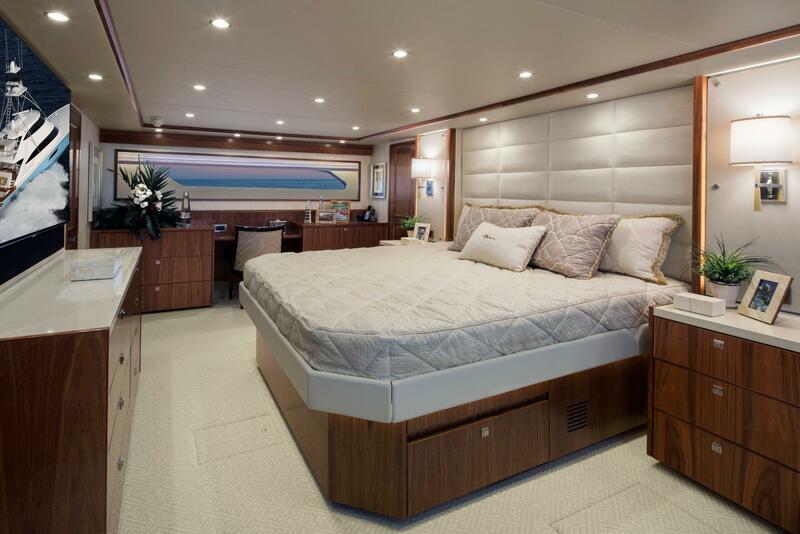 Four guest staterooms, each with private heads and showers, and equipped with a flat-screen television, an abundance of storage, and custom décor applications.